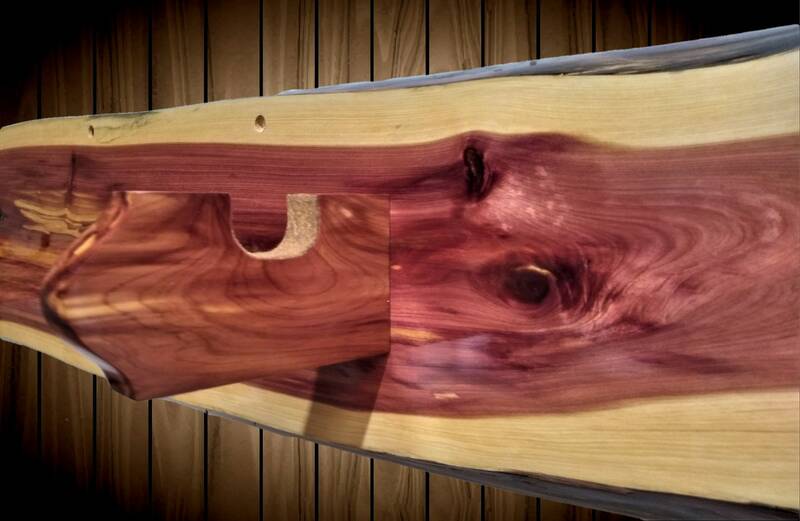 Live Edge Tennessee Knotty Red Cedar Gun Rack. Cedar, Bullet Gun Hangers with Buckskin Felt. Thickness of Cedar Body: 7/8"
Thickness of Cedar Gun Holders: 3/4"